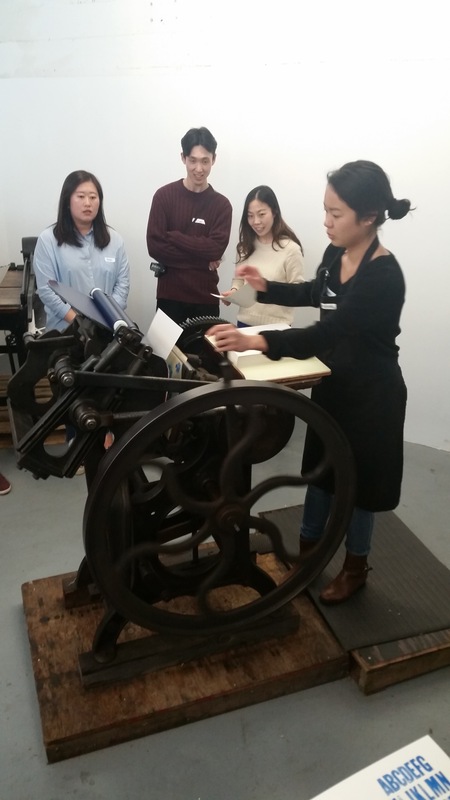 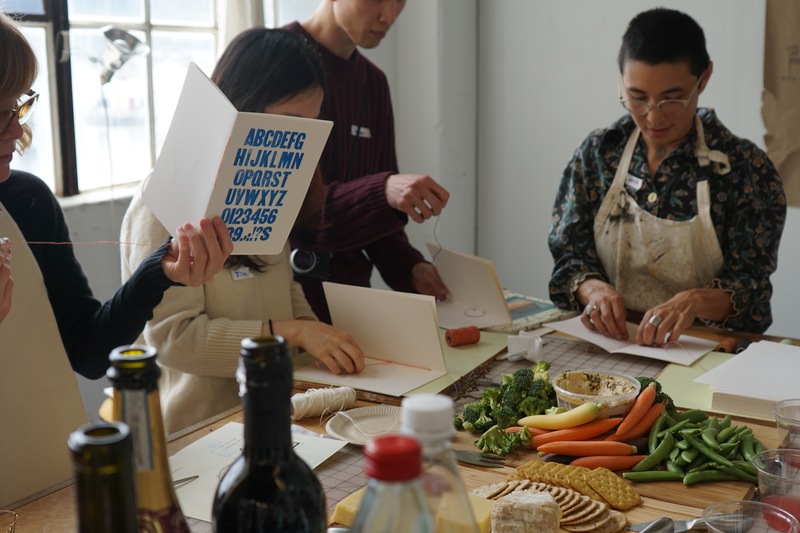 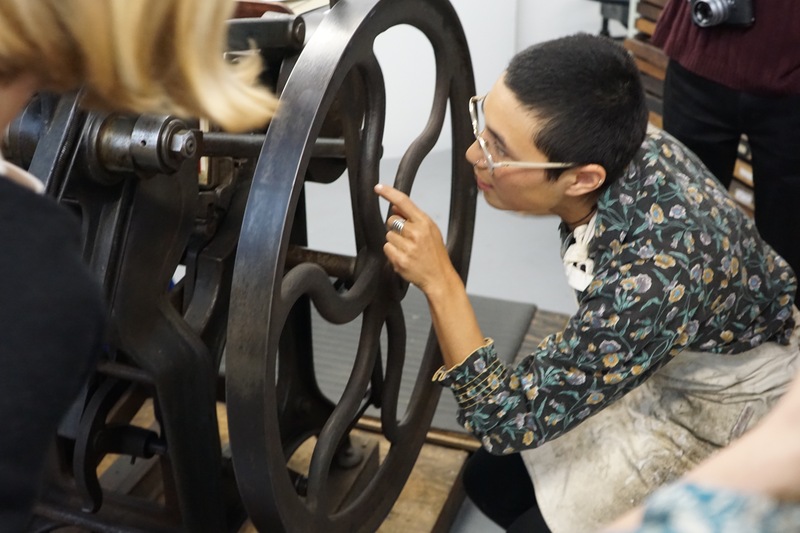 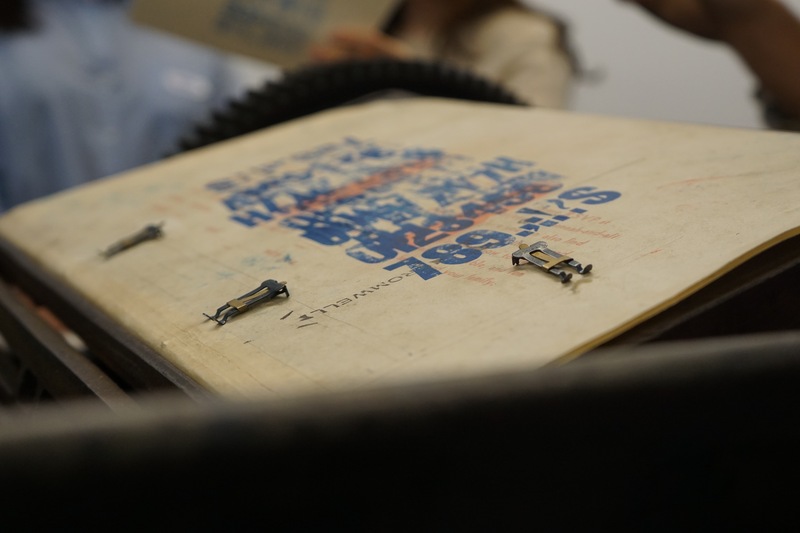 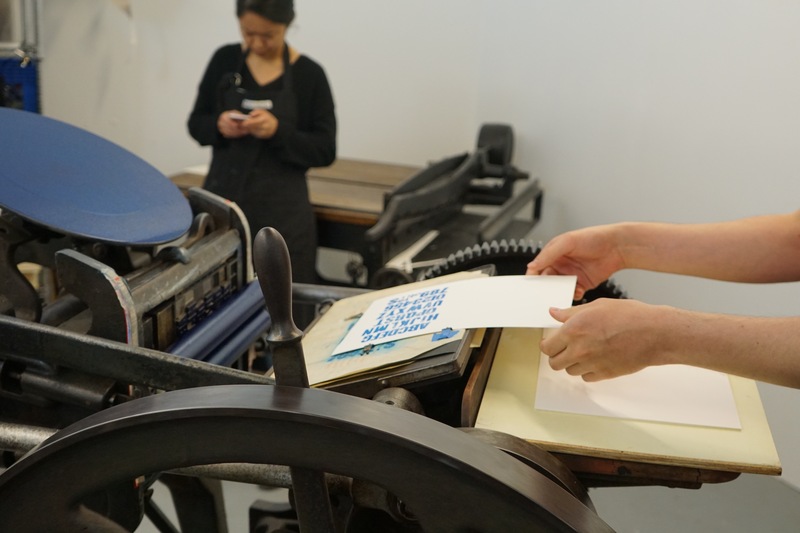 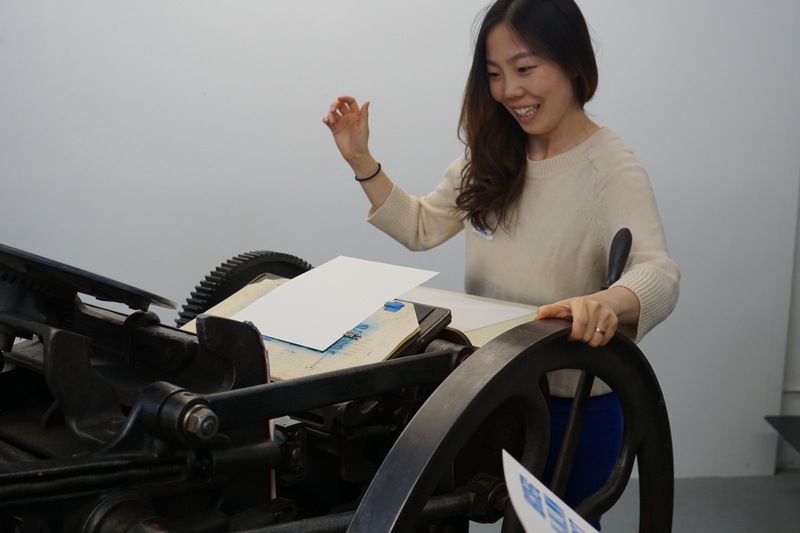 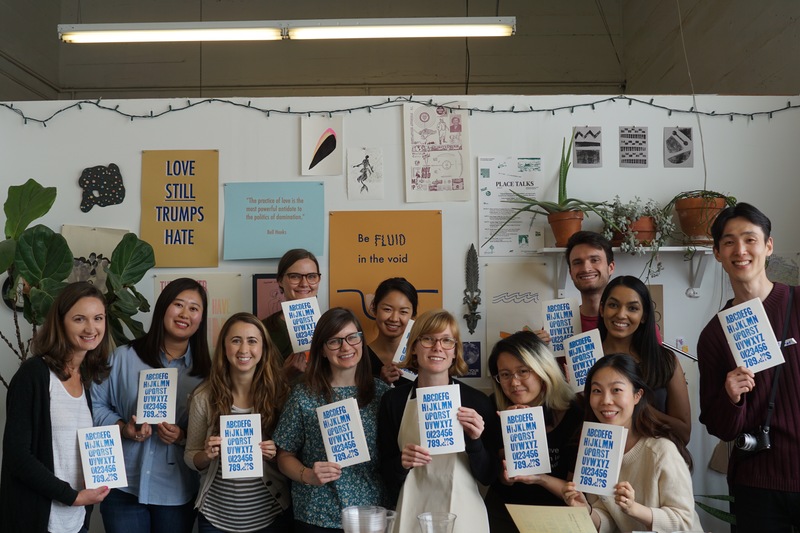 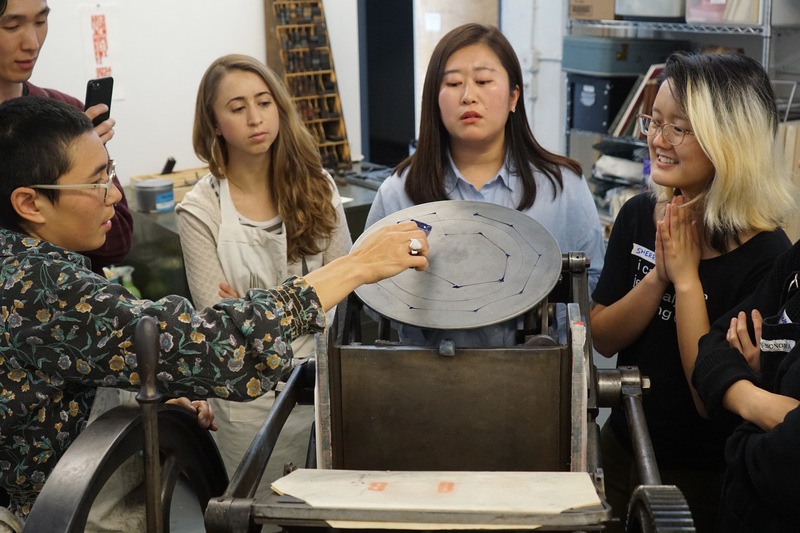 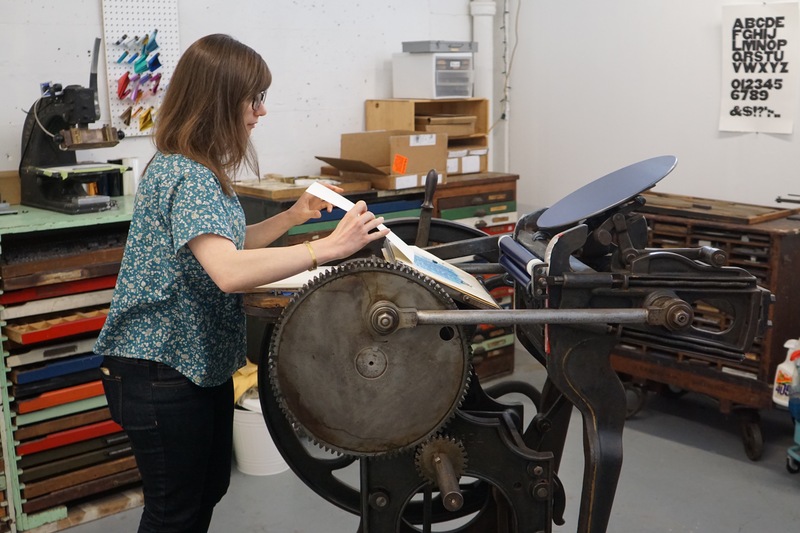 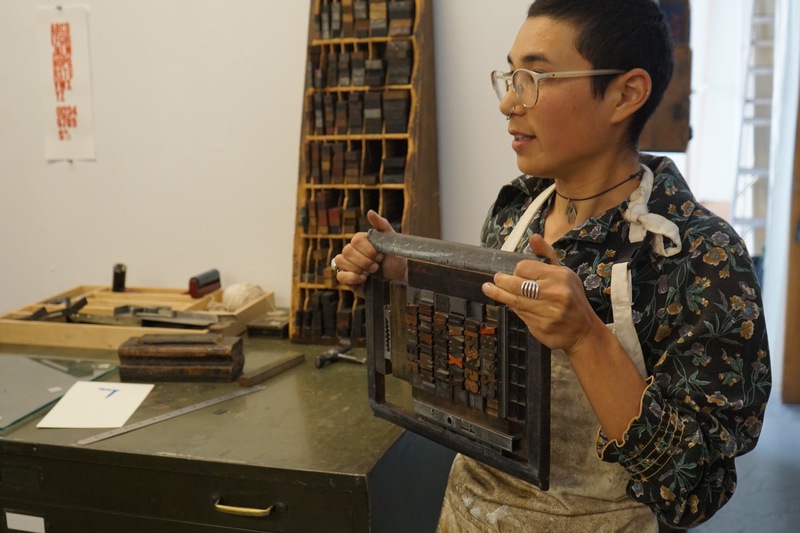 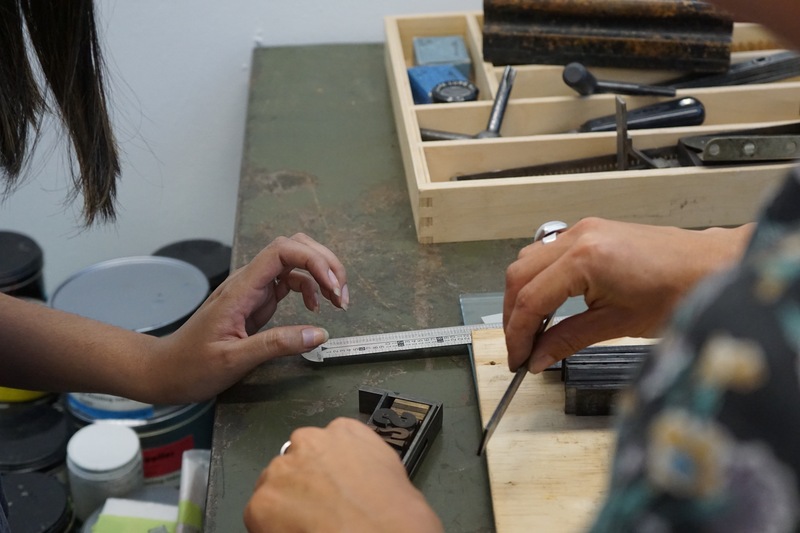 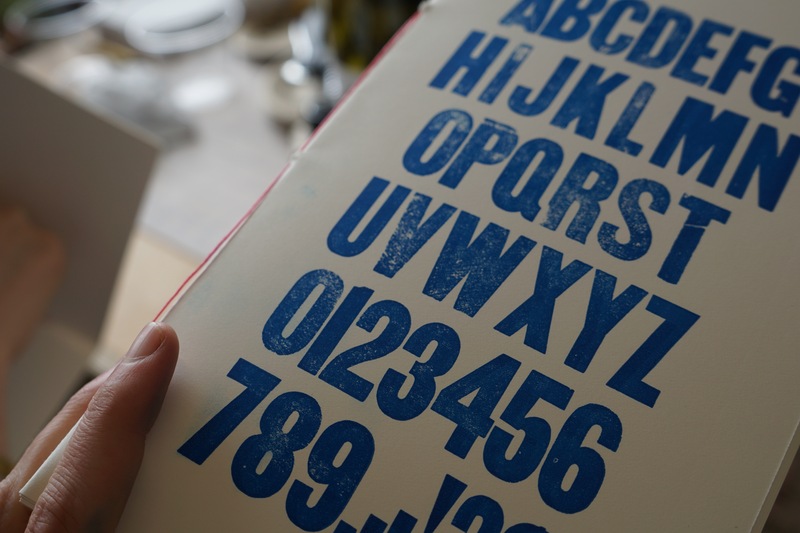 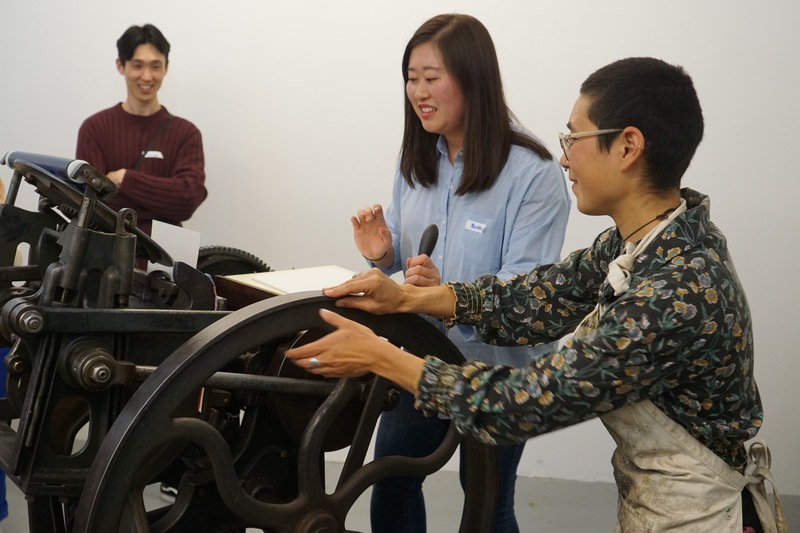 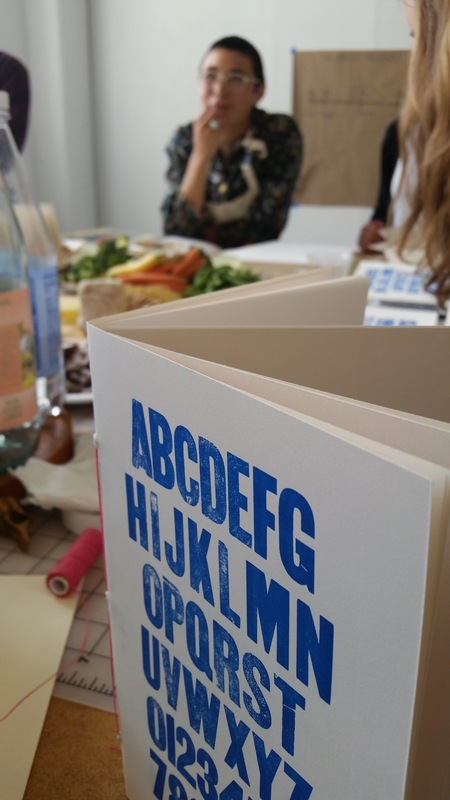 We had a blast learning the history of print with Ava Sayaka Rosen of Open Windows Cooperative at our Letterpress Notebook Workshop on Saturday, April 28th. 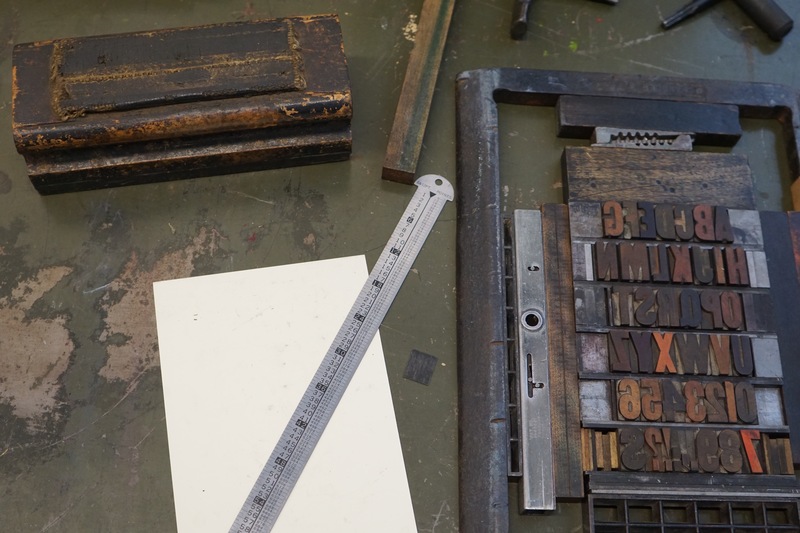 From hand scribes to the Gutenberg Press to the craft revival of book arts today, we followed the evolution of the book with a quick primer. 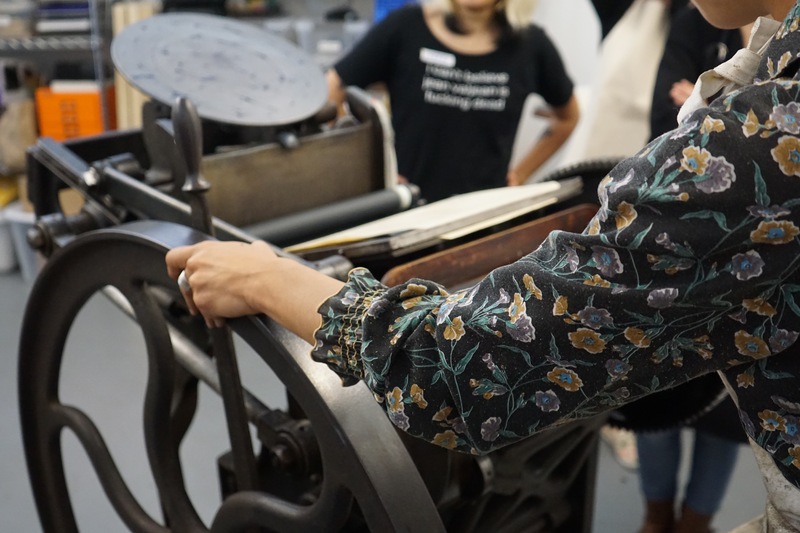 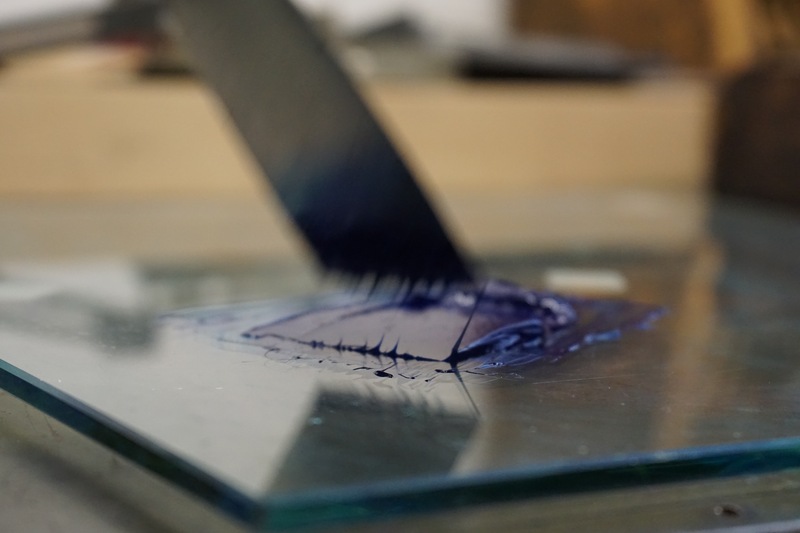 Then the group got hands-on experience with a 19th century letterpress and hand-binding: We learned to set wood-block type for a Chandler and Price printing press, each printed our own covers on the antique press, flattened our notebooks on a book press, and bound our pages with waxed thread. 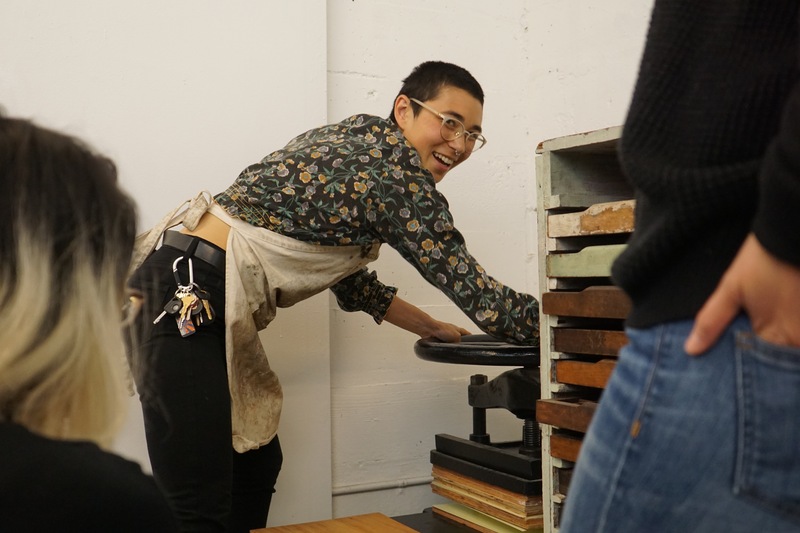 Many thanks to Ava and everyone who made it out to the studio. 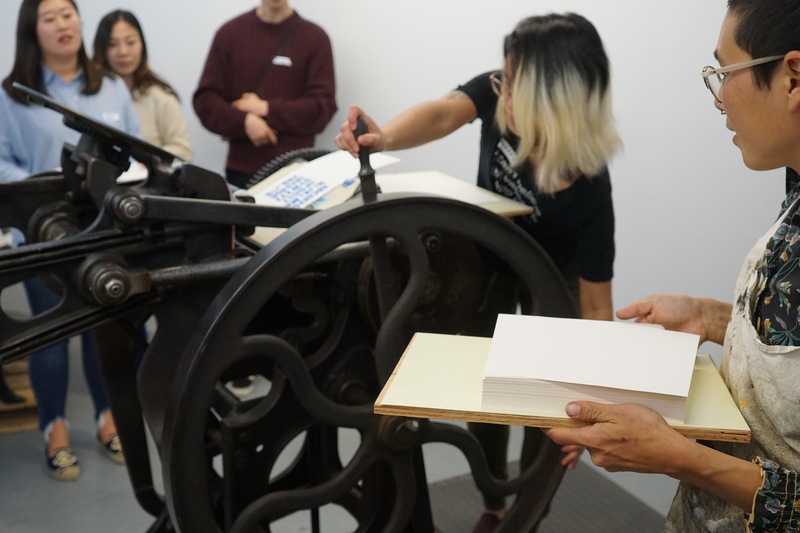 We hope everyone came away with a stronger understanding of the book as an object and book publishing through the ages—and made some friends along the way!